(Joshua Paladino, Liberty Headlines) Fresno police arrested a Democratic assemblyman on Monday Dec. 10, and authorities charged him with misdemeanor child abuse, The Fresno Bee reported. 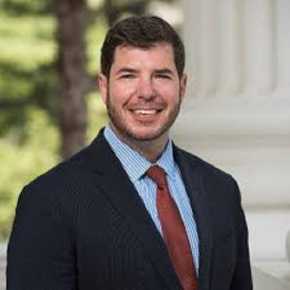 Assemblyman Joaquin Arambula, who has represented California’s 31st district in Fresno since 2016, denied the allegations in an interview on Wednesday, saying that he only spanked his 7-year-old daughter on the buttocks. Fresno Police Chief Jerry Dyer said that child privacy laws forbid him from giving specific information about the alleged child abuse, but he confirmed that authorities have charged Arambula for hitting his daughter somewhere other than her buttocks. If convicted, Arambula could face up to six months in prison. The incident that led to Arambula’s arrest occurred on Dec. 8. He said that he spanked his daughter before bed because she was not behaving, which he said he only does once or twice a year. His daughter informed her teacher of the alleged abuse on Monday, and Child Protective Services took custody of her along with his other two children aged 3 and 6. CPS found that Arambula and his wife, Elizabeth Arambula, were capable of caring for the children on Wednesday, and they were returned. While Arambula denies the allegation, Dyer said he will seek prosecution.